The Earth is threatened by a powerful creature who destroyed 70% of the Moon with its power, rendering into the shape of a crescent moon forever. The creature claims that within a year, Earth will also be destroyed by him, but he offers mankind a chance to avert this fate. In class 3-E at Kunugigaoka Junior High School, he starts working as a homeroom teacher where he teaches his students not only regular subjects, but the ways of assassination. 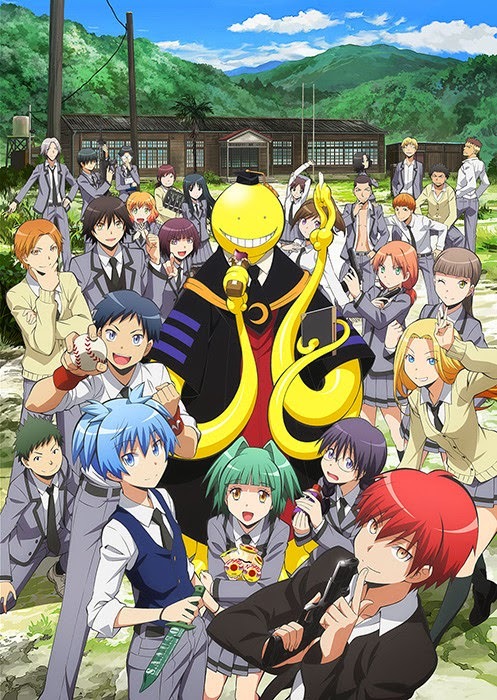 The Japanese government promises a reward of ¥10 billion to whoever among the students succeeds to kill their teacher, whom they have named "Korosensei". However, this has proven to be an almost impossible task, as he has several inhuman abilities at his disposal, including the capacity of moving at Mach 20. This season will cover and conlcude the Egypt Arc. The third season of the popular basketball series. Follow the links for a full list of the animes coming this winter.